Have you become totally bored with sitting around the house during these long, cold winter days? Sometimes it seems like the sun is never going to shine again and in frustration, you’ve decided it’s finally time to do something about creating a whole new look in your home. Maybe it’s just the living room that needs to be redecorated and other times it’s the kitchen, the dining room, or even the bedrooms which have lost much of their visual appeal over the years. While you know it will take more than a new coat of paint or a change in furniture, you can’t quite decide how to embellish each room for maximum effect. How many times have you finished some kind of home renovation project only to be left with sizeable pieces of timber that just sit around in the garage or workshop waiting to be tossed in the trash? Why not take out that new coping saw you got for Christmas and put it to good use? You can actually craft a lot of your home accessories from scrap bits of wood or timber. If you aren’t quite sure what kinds of wood would work best for the crafts you have in mind, you can always get DIY help from Savoy Timber. Woodcraft is a hobby you will soon become passionate about. You can do all sorts of things with literally any kind of wood! No matter what kind of wood you have, there is a way to use those scraps, so don’t be afraid to ask for help when starting any DIY woodcraft project. Remember that tree you took down just before the heavy snows set in? The large trunk is still sitting in the back garden waiting to be cut up and taken away in the spring. Why not get out the reciprocal saw and slice it into segments several inches thick? These can be sanded and used for a wide array of crafts. You might consider making the largest slice into a coffee table or end table for the living room while those of a smaller diameter can be sealed and used as a stepping stone path through the garden or up alongside the drive for a unique walkway. It’s amazing what you can do with that old tree and before you know it, there’s little or nothing to be carted away! Do you have a table saw? This would make these kinds of projects fast and easy. Perhaps one of the most popular crafts made from extra bits of construction timber are those lovely wood planters you see outside homes around the countryside. You can either craft those that stand on the ground or window boxes to be hung outside your windows to bring the bright colours of flowers up to where they can be easily seen inside and out. 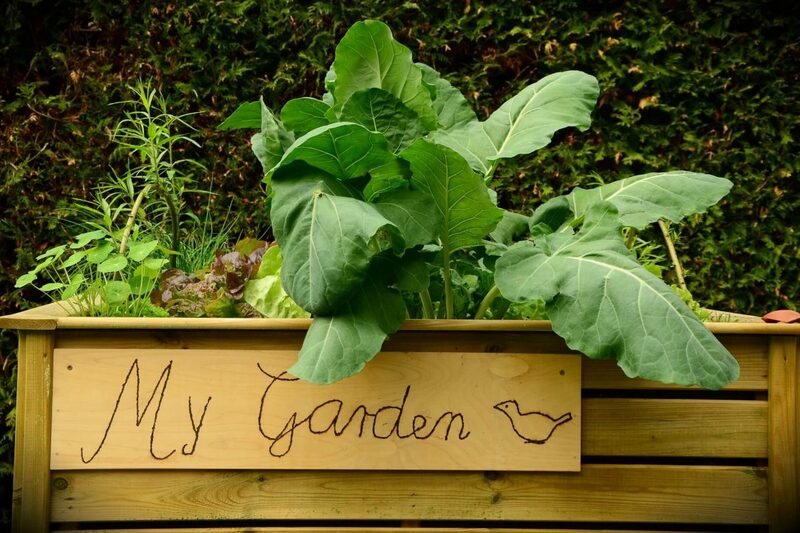 You can make raised garden beds for your vegetables or you can make a potato box to be used indoors or outdoors throughout the year. It’s simply amazing all that you can do with just scrap bits of timber you didn’t need for that loft conversion. Here is a woodcraft that you can do almost anything with. From taking a footlong piece of construction timber to make a wall hanging to using your coping saw to make round coasters for under glasses and mugs, woodburning is the art of burning decorative patterns into the wood just prior to glazing or sealing it. You will often see hanging wooden signs in quaint, rustic settings but today they have become hugely popular in home décor as well. Sometimes you’ll see sayings such as “Home Is Where the Heart Is” burnt into the wood and other times you’ll see geometric patterns or floral embellishments, depending on the level of artistry and craft the woodworker is capable of. Some ambitious home wood crafters actually take those bits of spare lumber and build such things as doll’s houses for their girls or wooden ships or cars for their sons. You can make everything from wooden balls with a router to be used as knobs or you can use a mitre saw to make picture frames to hang your kids’ diplomas and awards in. Why limit yourself to what you can do with woodworking crafts? From candle holders to door stops, if you have wood and a few different saws, you can create a whole new look while entertaining yourself on those cold winter days. And, if you’ve scraps left over? Use them to kindle the fire in the fireplace. Don’t waste a single scrap. If you have timber, there’s a use for it for sure!